Happy Friday everyone. 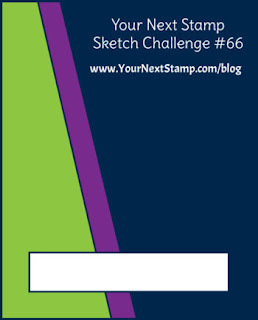 It's time for a new Challenge at Your Next Stamp! This week we have a Fun Rainbow Color Challenge and a brand new Sketch to choose from or you can use them together. 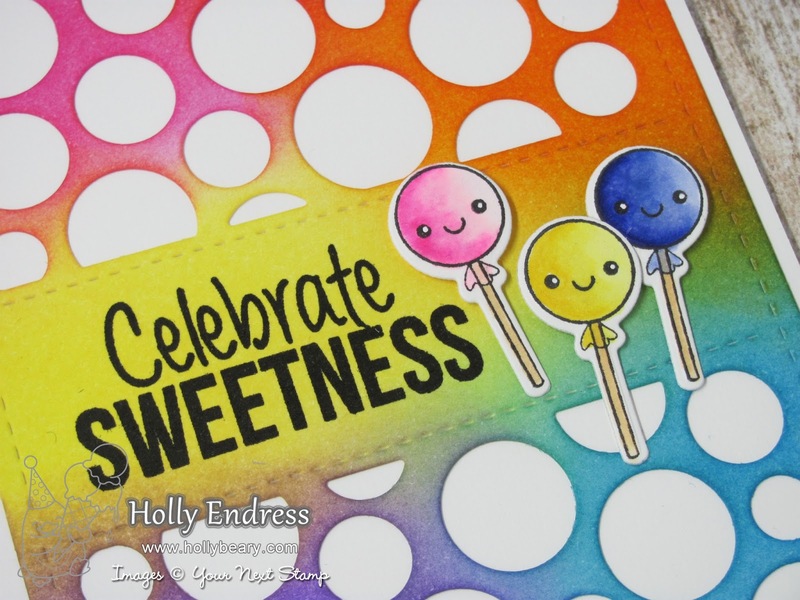 This week I went with the color portion of the challenge and the Celebrate Sweetness Stamp and Die set. I started out by die cutting a piece of Bristol cardstock with the Circle Panel Die then I added some Distress Inks in the challenge colors. I stamped the sentiment from Celebrate sweetness onto the panel using Black Olive Ink and then I adhered it to a White card base. 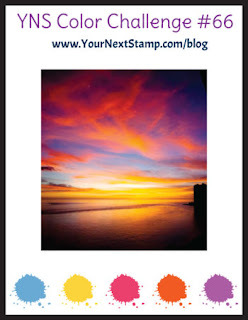 Then I stamped the images from the same set using the Black Olive ink onto a piece of Neenah Solar White and colored them in with Copics. I used the coordinating dies to cut them out and adhered them with some foam tape. Then I added some Clear Wink of Stella to each of them. I adhered the end of the sticks directly to the card base with some liquid glue. Head over to the blog for more info and inspiration from the Team. Join in the fun for a chance to Win a $15 or $20 GC to the store.